HDTV Supplys 4K WolfPack 8x8 HDMI HDBaseT Matrix Switch routes eight Hi-Def HDMI sources to any eight HDTV displays supporting 1080p Full HD up to 4K plus all 3D formats along with multi-channel digital audio formats such as Dolby True HD and DTS-HD Master Audio. This true 4K 8x8 HDMI HDBaseT Matrix Switch allows any input to be sent to any output or the same input to be routed to all outputs or any combination. The HDMI HDBaseT receivers are unbundled so you don′t have to pay for, say 8, if you need only 6. Choose the quantity you need in the above OPTIONS. Their transmission distance is 4K at 30 Hz compliant to ~150 feet and 1080p HDMI signals up to ~330 feet both on a single CAT5e/6/7 cable. The WolfPack 4K 8x8 HDMI HDBaseT Matrix Switch provides built-in EDID management for recognizing multiple display formats and sources. This 8x8 HDMI Matrix Switcher switches quickly with no flashing as its design is to avoid the flashing, as seen by other HDMI matrix switchers as it presents EDID which represents all the connected displays. This eliminates the source trying to adjust the resolution dynamically to fit the TVs which limits the flexibility. Setting one of the the internal EDID modes can also speed up the switching process with cable or satellite and many other sources. Each source can be routed to any display using the front-panel push buttons, IR remote control, RS-232 interface or via TCP/IP. It is also HDCP compliant on all inputs and all outputs. The matrix can power the remote HDMI to CAT5/6 receiver via POE so no power supply is needed for the receivers. The optional and required 4K HDMI HDBaseT Receiver receives the transmission distance for 1080p from 330 feet per the above specs. Why not buy this WolfPack 4K 8x8 HDMI HDBaseT Matrix Switch today? POE Designed: By utilizing POE technology both HDMI audio and video signals and power can be sent to a device via standard Cat5e/6/6a cabling. This means you do not need to install a power outlet at the device location and you can use readily available, relatively low cost Ethernet cabling with this this 4K 8x8 HDMI HDBaseT Matrix Switch. Why not buy this 4K 8x8 HDMI HDBaseT Matrix Switch today? HDTV Supply has a few Factory Refurbished WolfPack 8x8 Matrix HDMI Switchers in stock that can be controlled with its WEB GUI, LAN & RS232 control. These are a first generation non-4K 2016 models that do not support IR and don't come with a remote control or HDMI to CATx extenders. They support up to 1080p and do not support 4K signals. These are sold with a 90-day warranty for a very low price of $700 plus shipping, First Come-First Serve, so place your order today as they won't last long. Call Catrina at 800-841-9238 right now to get one of these 8x8 Matrix HDMI Switchers. 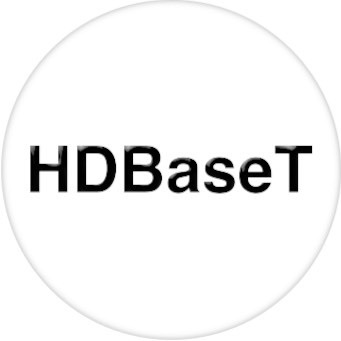 HDTV Supply has this HDMI HDBaseT Extender in stock in our California warehouse so place your order at the above ADD TO CART button by 11AM PST and it can ship today or call us at 800-841-9238 to place your order. 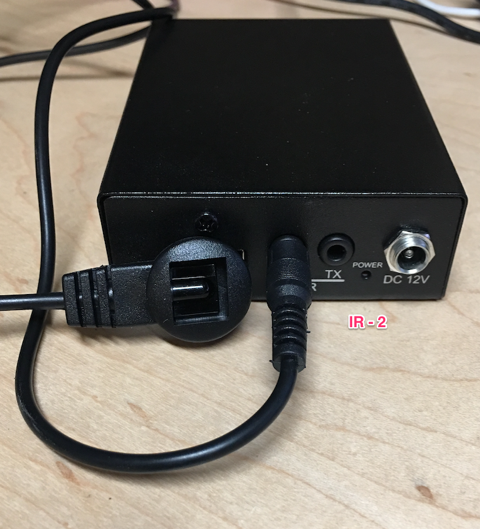 Q: What is there an AC receptacle on the POE receiver? A: The receiver is used with our other system that are not POE. Q: What are there 2 - AC adapters that come with this matrix? A: One is for the matrix and the other powers the POE HDMI receivers. Q: Will the 220 foot receivers work on the 330 foot HDBaseT matrix? A: Yes, but with limited distance: 4K@30Hz up to 130ft, and 1080p@60Hz up to 230ft. Q: What is the "4K" distance on the 4K 8X8 HDBT 220 foot HDMI Matrix? 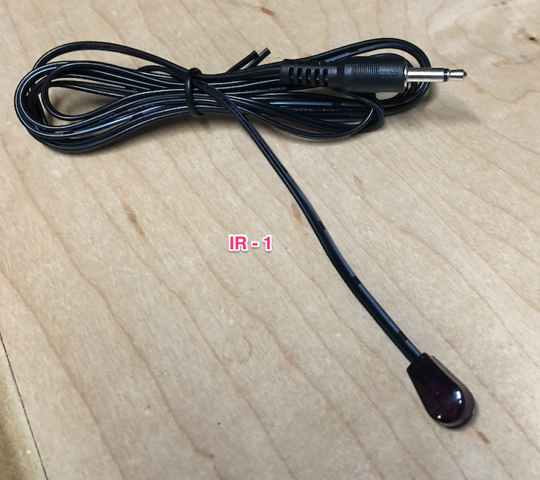 Q: How do I wire the remote IR? A: Review the below pictures labeled IR-1 and IR-2 as setting it up like this allows you to control the source devices in a rack from the TV抯. 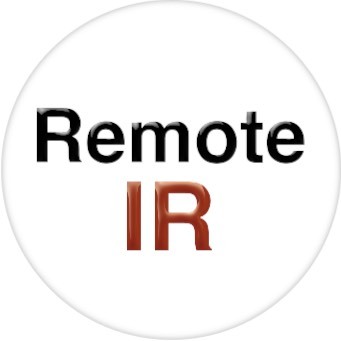 IR-1 goes to the source device (DVD player, receiver, etc.) and to the back of the switch into the IR output. IR-2 goes into the RX port on the balun at the TV side. HDTV Supply includes a 1 Year Limited U.S. Warranty on this 8x8 Matrix HDMI Switch. The warranty states that (a) its products will perform substantially in accordance with the accompanying written materials for a period of 1 year from the date of receipt and (b) that the Product will be free from defects in materials & workmanship under normal use & service for a period of 1 year. 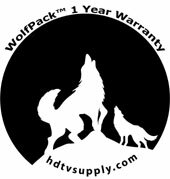 In order to get a warranty replacement for a defective item, HDTV Supplys Support Team will verify the product is eligible for warranty. An RMA number will then be issued. Shipped replacements will be in like new conditions, tested and all components included. A 30-day RETURN also comes with this warranty. HDTV Supply also sells a 3 and 5 Year Extended Warranty for this 8x8 Matrix HDMI Switch. Please go to Extended Warranties or see the above Options to purchase it. 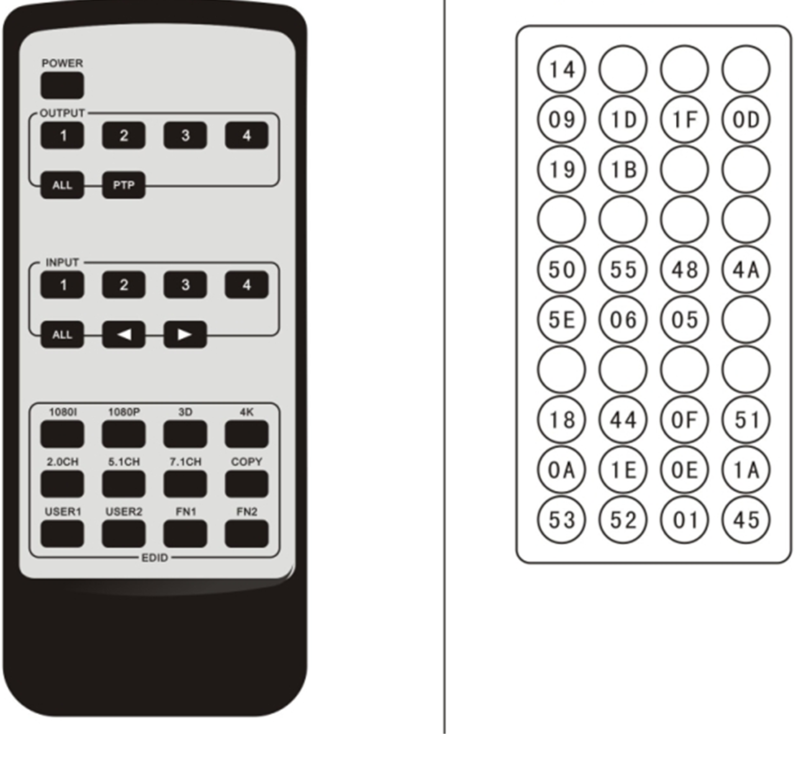 Custom Control: Since this device has an industry compatible RS232 port it has the potential to be controlled by Home Automation controllers from Control4, RTI, AMX, Savant, BitWise, ControlFX and DemoPad, Crestron, NetStreams, Opus, and Elan as well as other compatible controllers. Contact them to discuss how they interface with the RS232 serial port on this device. We do not sell or support any of the above so please contact them for any info you may need. To ensure 3D or 4K content routing through the Matrix, High Speed HDMI cables must be used and any connected non-3D or non-4K compatible display must not have an "active" HDMI output (i.e. powered off or in standby mode). 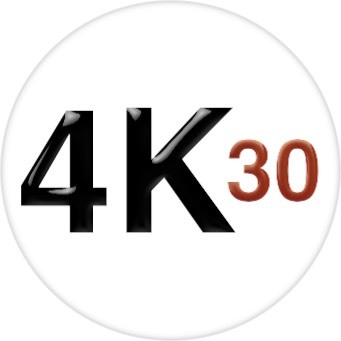 The 4K or 3D source player must not be able to "see" a 2D or non-4K only display connected to the Matrix.